We have the ability to review your patterns, suggest carriers and methods that make sense, and get the desired results. Cargo Integrated Logistics can help you create the optimum transportation options for your cargo. We have the industry experience and connections to help you create a transportation support package that makes sense and provides timely delivery of your goods at a reasonable price. We also will happily use your carriers and routing program that you have in place now. It’s your choice and we will comply with your wishes, no matter what they are. Our brokerage is different. Unlike other brokers who use any carrier they can find to haul your freight, we go the extra mile. We try to match a known carrier, in regions they operate well and have experience. We check their FMCSA Safety Score and Insurance and make sure they have both, and at a level that works and provides limited exposure to liability and above the legal requirements. We don’t cut corners to move a load and put you in jeopardy. In the end, we move your loads with the same carriers repeatedly who learn the routes and get to know your customer’s delivery needs. 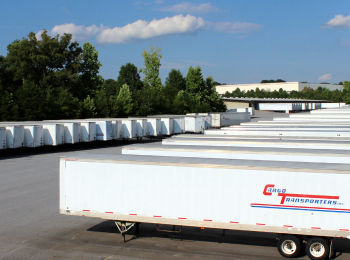 Just like our brokerage, we select known carriers to move your goods. Ideally, we train and work closely with them to haul your goods and learn your routes. We provide more tonnage to fewer carriers and provide a win/win atmosphere for the shipper, the carrier, and our mutual customers at a fair rate. We work closely with known LTLCarriers here in the area and create a partnership. A few good carriers are recommended and we put the customer and the carrier together for optimum pick up, line haul, and delivery scenarios. Then, we have them come in and learn our system for loading to work toward a damage free environment. Often, we can load past break bulk terminals and take handling out of the equation in the LTL networks using different techniques like pool distribution, dock drops, and consolidation programs. We have a list of preferred draymen, by port, and work closely with them to help get your containers off the port timely, and to our docks for unloading. Again, we try to partner with the best few so that we learn your business and provide more tonnage and revenue to fewer partner carriers by managing the process closely. We have good working relationships with both major parcel carriers who are on our property every day. Most of our clients have a pre-negotiated parcel program and we comply to those programs each day, no matter which carrier you prefer. We enjoy relationships with several preferred freight forwarders. Usually, they have an operating advantage on their continent of choice and we work to help you make the best decision on freight that originates overseas to get it here timely and without issue. It’s a big world and it can be challenging to get the correct documents completed properly. We can help direct you.